It looks like a UFO, and soon there could be dozens hovering silently over your city. This futuristic wind turbine is designed to take advantage of high winds and deliver huge amounts of power to the ground via thick cables. And it's about to be tested in Alaska. 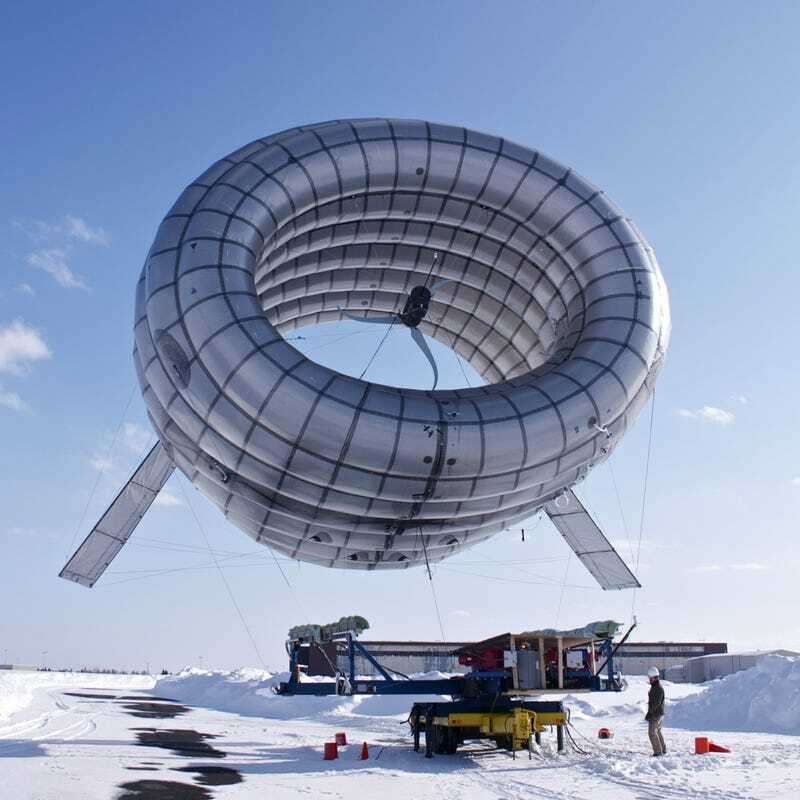 Altaeros Energies are the makers of this Buoyant Airborne Turbine (BAT), and they say it's designed for off-the-grid situations like factories in the middle of nowhere, remote towns, or cities that have been hit by disaster. They can be upgraded to provide communications like internet, too. By hovering 1000-2000 feet above the ground, they take advantage of high winds that typical turbines can't on land. Imagine that a disaster has struck your area, and all the power lines into the region have gone down. First responders could arrive with a few of these turbines, inflate them, and immediately get hospitals and other meeting centers back online in a matter of hours. Altaeros has just partnered with the Alaska Energy Authority to test a BAT at 1000 feet. Read more on the Altaeros site.